Joel Cabrita is a professor at Cambridge University. Presently she is researching Zion history and the amaZioni church movement in Southern Africa. She is writing a textbook relating the history of the church in Zion IL, USA, to African church history and the amaZion movement of Southern Africa. We had a great time sharing with her. Pastor James Wychers and Randy Elrod of the Beach Bible Church in Zion IL, are presently with us. 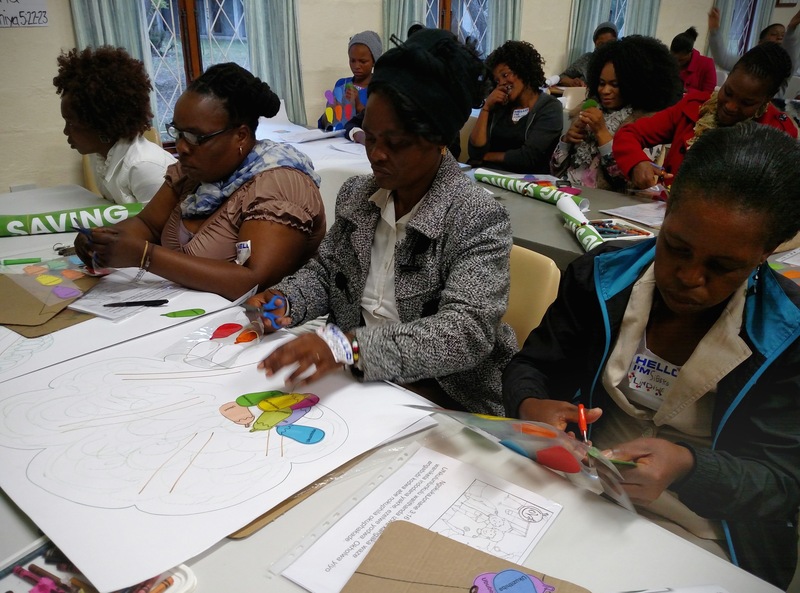 They assisted with teaching at the Sunday School Teacher Training and ZEBS teacher conference this past weekend. They then traveled to Nkandla with Umfundisi Khuba to experience life at his home and in his community. 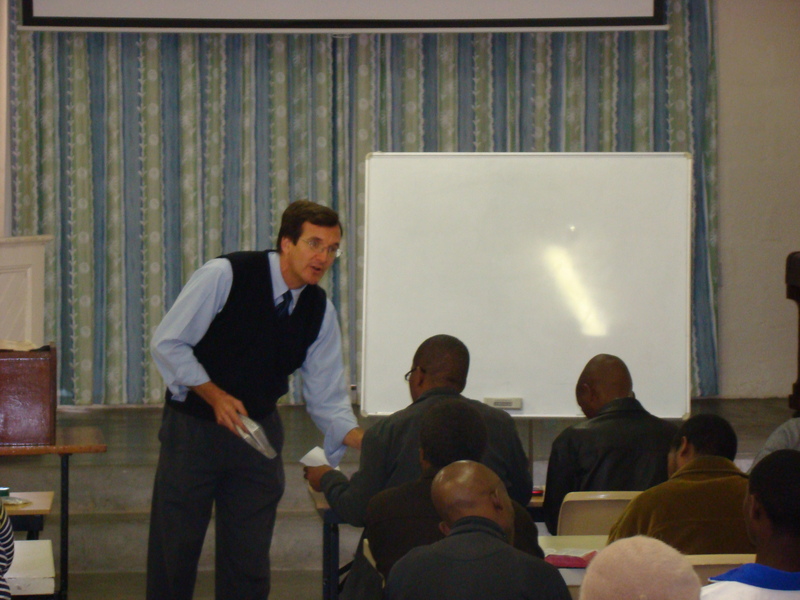 James taught at KwaMashu ZEBS last week and will again this week. Over the weekend, over 100 people attended our Sunday school teacher training and ZEBS teacher’s Conference. We discussed how to teach and lead children to Christ. We also equipped them with the materials for nine lessons based on the fruit of the spirit. The ZEBS teachers also participated in times of discussion, fellowship, and Bible study together. Joel visited a Zion church service and Umlazi ZEBS. 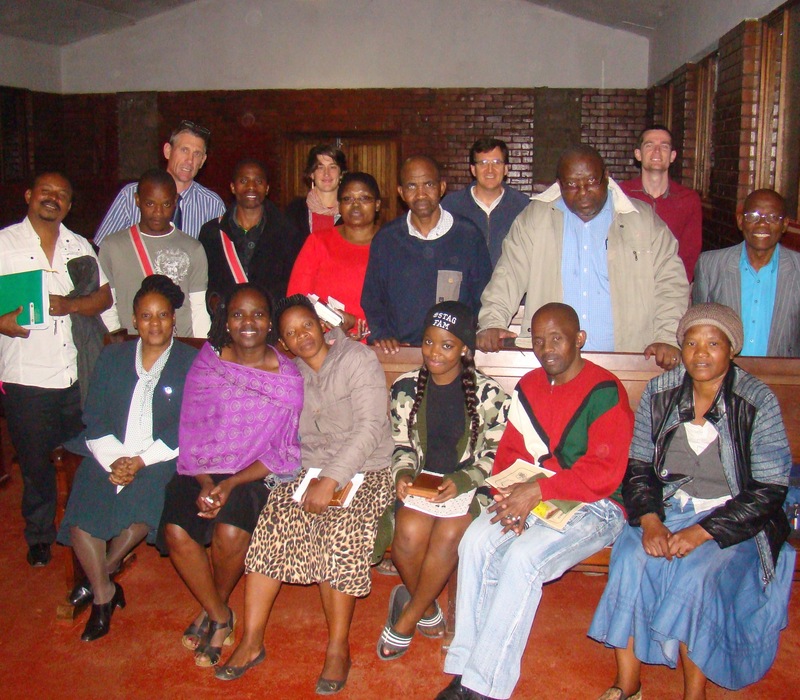 This school is now taught by pastor Ngcobo (far right), Mark Hugo (back left) and Marius Swart (back right). 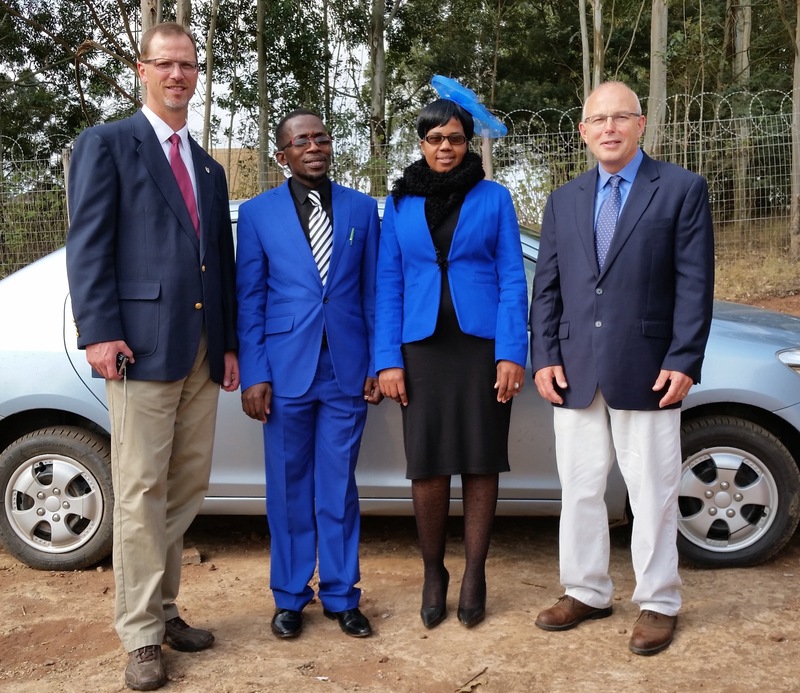 Pictured from left to right are Pastors James Wychers, Khuba, Mrs. Mpungose and Randy Elrod. Sunday School teachers preparing their resources to take home. For more pictures, see our PHOTO ALBUM by clicking that tab located on the menu bar above. We will be in the USA for the full year of 2016 on home assignment. This home assignment will be our longest time in the USA since 1997. During this time with our children, we will be evaluating how to be “a family in two countries”. We will try to envision how we might better be available to our family while continuing our life and relationships with friends and ministry partners in South Africa. We are presently scheduling our time in the USA. Please let us know of events that we might participate in with you and your church. We also plan to commit time to working and help out in ZEMA’s home office. By request of the national pastors we work with, the ZEBS we oversee will continue in our absence. Please pray for those who have stepped forward to carry on in our absence: Abafundisi Khuba, Shobede, Mbonambi and fellow missionaries Marius Swart, Eric deLange and Dan Hoffman. For more PRAYER REQUESTS, click on the tab for that page, located above. You may also view our updated schedule, by clicking on the HAPPENINGS tab, also located on the menu bar above. ….How Greg sounds when he’s speaking Zulu? We’ve added a new page to our blog called, “Experience Our Ministry”. On it we’ve shared short video clips of what it might be like to visit our ministry, and see and experience it’s sights and sounds. To view these clips, come to our blog by clicking on the Title next to our picture to the left.